Typically called advanced packaging—to distinguish it from the standard plastic or ceramic type of packaging—this approach has been developed to enhance the reliability of advanced-node chips. In many cases, it also serves as an alternative way to overcome thermal and electrostatic limitations. This is particularly true for multi-chip packages, where a third dimension allows processors to access memories located above them or next to them using very high-speed connections. That can be significantly faster than sending signals from one end of a large chip to the other over skinny wires at 7nm, where heat buildup caused by resistance is problematic. In addition, it allows chip architects to scatter memories throughout the package to avoid contention for resources, which creates routing nightmares for designs with centralized memories. Most of the companies that have adopted advanced packaging were pushing the limits on performance, but they hit a roadblock with the diminishing power/performance benefits of Moore’s Law. For these companies, cost was less of an issue than performance and form factor. Nearly all of the early implementations were custom designs, using non-standard approaches to packaging. This required close collaboration between the chipmakers, the foundries and/or the OSATs. While it has proven effective, particularly for applications such as mobile phones and networking chips, those packages were developed for a specific application using very specific components. Most mainstream chipmakers—those not at the leading-edge nodes—still have plenty of power/performance headroom at established nodes, where the vast majority of chips are being developed. This is aided by the fact that foundries have been aggressively adding options at those nodes, which are still significantly less expensive than 10/7nm or even 16/14nm. But as more standardized packaging becomes available, that could change because those companies will be able to mix and match different components. Consensus about what works where is beginning to emerge. Packaging has been in an almost constant state of change over the past several years as packaging houses and foundries experiment with different ways to put chips together. Even within the same type of packaging approach, such as fan-out, there are chip first and chip last approaches. It’s also possible to add pillars on fan-outs, which add memory stacks on top of logic in a quasi-3D-IC configuration. And in 2.5D, silicon interposers and organic interposers use a bridge either in the redistribution layer, or in the case of Intel’s Embedded Multi-Die Interconnect Bridge, across various elements to provide a super-fast in-package interconnect between heterogeneous chips. In effect, the divide-and-conquer design approach shifts from blocks on the same chip to chips in a package. And while the package reduces some physical effects, such as variation across a large die, it brings its own set of challenges. This has led to a search for the best packaging options, and the amount of research done in this area by systems companies, universities, equipment makers, foundries and packaging houses has been enormous. The shift toward more advanced packages presents several challenges. For example, high-density fan-out requires tighter pitches with finer redistribution layers (RDLs), which provide the electrical connections in the package. The latest high-density fan-out packages are migrating toward the 1µm line/space barrier and beyond. At these critical dimensions (CDs), fan-outs will provide better performance and cost. Going to finer RDL CDs in the package presents some challenges, namely for lithography, which is the art of patterning features on chips and packages. That is expected to continue in the near term, but there are efforts underway to provide the same benefits in fan-outs, and fan-outs with chiplets, as more expensive approaches such as 2.5D where a silicon interposer is currently used. ASE, for example, reports adoption of its fan-out chip on substrate, which can support HBM2 memory. In the past, only 2.5D packages utilized HBM, which are modules of stacked DRAM. ASE has demonstrated the technology for heterogeneous and homogeneous server applications, as well as for AI chips and chiplets. This approach uses a fan-out composite die on a traditional ball-grid array substrate, which is basically the same type of substrate used in standard BGA and 2.5D interposer-based packages. The BGA provides the second level of “fan out” of the package, which is in addition to the finer fan-out chip-on-substrate bump pitch to a standard circuit board assembly pitch. Fan-outs continue to be popular in the mobile market, as well. Apple was the first big company to legitimize this approach when it adopted TSMC’s integrated fan-out (InFO) for the iPhone 7. Apple is now working on pillars on top of fan-outs, according to industry sources, to improve performance. Mobile continues to be the main growth driver for both low-density and high-density fan-outs, but automotive is expected to pick up momentum as the packaging is qualified for automotive grade 1 and 2. There also are numerous reports of 3D-ICs under development across the industry. Unlike a fan-out, memory is stacked on logic, with connections through the middle of the silicon using through-silicon vias. TSVs also are being used in silicon interposers, and they are finding a home in silicon photonics, where they are essentially serving as waveguides for optical signals. And while they have not achieved early projections for this market, the market for these types of interconnects is creeping up. More packaging developments are coming, as well, although not all of them fit under the advanced packaging label. 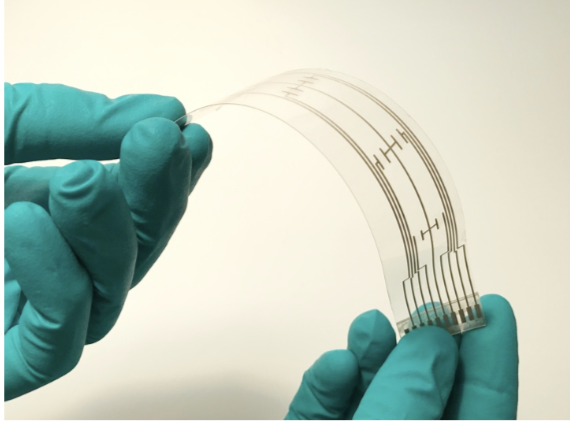 Consider the developments in printed and flexible electronics, for example. In those cases, the packaging may be a flexible substrate or something created using a 3D printer. Rather than etch on silicon, most of these processes are additive. Weight is a major concern in electric vehicles, because the lower the weight the greater the range per charge, and flexible substrates that can stick on like a piece of tape are significantly lighter than a multi-layer printed circuit board with a collection of chips. But this technology is just beginning to gain footing, as well. At this point there are not good physical models to show exactly how these chips behave under a variety of circumstances. Looming big across the whole packaging space is the chiplet concept, where the basic idea is to create a plug-and-play infrastructure for various components. The idea is to standardize the process in order to reduce costs and enable chipmakers to build systems more quickly. There are a number of standards efforts underway in this area. For example, DARPA’s CHIPS program is aimed at simplifying the development of complex chips for a variety of government and commercial applications. In addition, Marvell and Kandou Bus are part of the Ultra Short Reach (USR) Alliance, which is developing a standard way to connect various chiplets together. On top of that, a third group, called the Open Domain-Specific Architecture Workgroup was created last fall. Members of that group include GlobalFoundries, Netronome, Achronix, Kandou, NXP, Sarcina, and SiFive. Packaging is becoming more important and more complicated, but it also is showing signs of settling on various approaches that can help drive down costs. There are concerted efforts to make that happen on a number of fronts, but it’s also not the only path forward. More talk and activity is also happening around combining technologies that historically haven’t gone together, such as a 5nm or 3nm logic chip packaged with older-node analog and memory components. As Moore’s Law becomes more expensive and time-consuming to pursue, the industry is beginning to limit what gets processed at those nodes. This would mark a big shift in direction, and the implications could be very significant. Advanced packaging moves into high-volume mobile markets, but requires more sophisticated equipment and lower-cost processes. What’s needed to make different packaging approaches more affordable, and why that may not be a critical factor in the short-term. Yes but it doesn’t seem like the packaging ITSELF is getting simpler. Maybe specifying it or figuring out which version to use is.